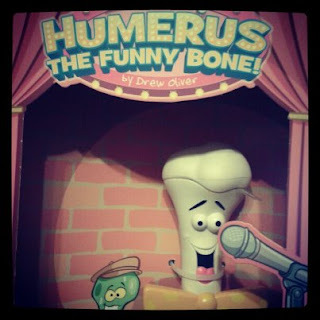 Humerus comes from the Drew Oliver Company LLC in his own stage show display box. 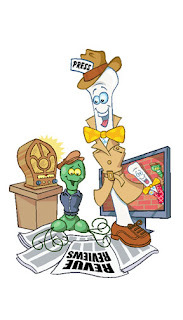 This funny bone will have you cracking up at his family friendly jokes. I knew this would be a great display item for my husband in his office, to lighten up the mood that typical places of work can get into. 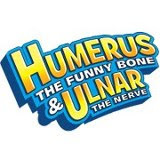 Humerus is funny and unique in his joke telling and wittiness. Simply clap your hands and Humerus tells a joke to tickle your funny bone. He has dozens of different jokes, so you don't tire of hearing the same 2 over and over. He stands 11 3/4 inch tall, so a nice looking funny bone to sit on your coffee table, or bookcase for company to come and admire! Definitely a conversation piece. Order now! A limited quantity through Christmas! Want to win one of these funny bones?? I learned clapping activates jokes. It's perfect for adults, kids, and anyone with a funny bone! That is so cool that the sounds are activated by clapping! I learned that Ulnar is a nerve. What do you 'Resolve' to do in 2013?? Peeps and Company Holiday Gift Giving! What is Madware and How can I Stop it? Current Giveaways!! 23 great gift giveaways! SmartLab Toys- Spa Lab Giveaway!